Twitter has been around for a number of years now and over recent years many people feel that the product has stagnated while other social media platforms, such as Facebook, Instagram and most recently Snapchat, have innovated adding various new features to allow people to do more or simply make things easier for them. However, there are still a huge number of active users on Twitter and it is still the most popular real-time micro blogging/publishing service in the world with huge potential for your business. The most effective long term strategy, in my opinion, is to provide value to your audience in whatever way possible. This may in the form of content that no-one else is creating, using Twitter’s search function to look for questions that people are asking and then answering them with high quality replies or using it as a customer service platform so that your customers can feel like their have their worries settled. When people advise on how to use Twitter for business they often say “just provide good content”. These days, most people are doing that! If you then create good content and put it out there it’s likely to just get lost amongst the many other people doing the same and so the time and effort spent creating it is wasted and could be better spent elsewhere. The key is to research the various things that your target audience want from Twitter from businesses such as yours and analyse if your competitors are providing this. If they aren’t doing it, then go for it! If they are, then you need to seriously question whether you can provide it in a much better way. It has to be considering better to stand out from others that got in there first. Timing is key in all digital marketing and particularly on how you utilise social media. Even if your audience is not on Twitter, for some businesses your customers will just expect you to be on there to consider you a big player in the market. For most, it at least allows you to control your brand on a big platform and to prevent others from pretending to be you on there. Not even representing your brand could be devastating if someone else decides to do so in a poor way. You should probably know who the infuencers are within your industry. You can follow these people and/or companies and connect with them by responding to any questions that they may have, reviewing their content and helping them if they need it. It’s all about providing value and being helpful. A great way that Twitter can be used is to chat with lots of people based around a specific hashtag. For example, on Wednesday afternoons at 4pm GMT, SEMrush organise an SEO chat using the hashtag #semrushchat. It’s a fantastic piece of marketing by the organiser and for you these chats are a great way to meet others within your industry on Twitter and to show your expertise to the industry and potential customers. The Twitter search function is great for this. You can use it to find out common questions that your target audience is asking. For example, if you are an estate agent, you could search for people looking for things to do in a particular area. With your expert knowledge of this area, you could respond with some great advice that would show that you know what you are talking about. It isn’t about getting a direct sale on Twitter but about raising your profile and making connections. Later down the line you may need to ask for something or be more “salesy” and building this value will give you leverage to do so but this shouldn’t be too frequent mostly want value from Twitter. Also remember the old saying when using Twitter for business reasons, “People do business with the people they know, like and trust.”. A mistake that people also make is to not be aggressive with Twitter. They may feel like it is only for being rather passive. However, when you have a piece of content that you feel is by far the best that anyone within your industry has produced on a topic and so people will get huge value from it, be a bit more aggressive! One way to do this would be to mention people directly and tell them about this piece of content. If you have built up trust over time by providing them with value then they shouldn’t mind that you do this. It is recommended that you do this with industry influencers that you feel you have a reasonable chance that they will retweet as this will really help your tweets and content to spread. Another way is to invest some cash into advertising. Twitter’s advertising product is a couple of years old now and still developing so it’s a good time to be using it. There is probably better value to be had within this than older ways to advertise online such as Google Adwords. 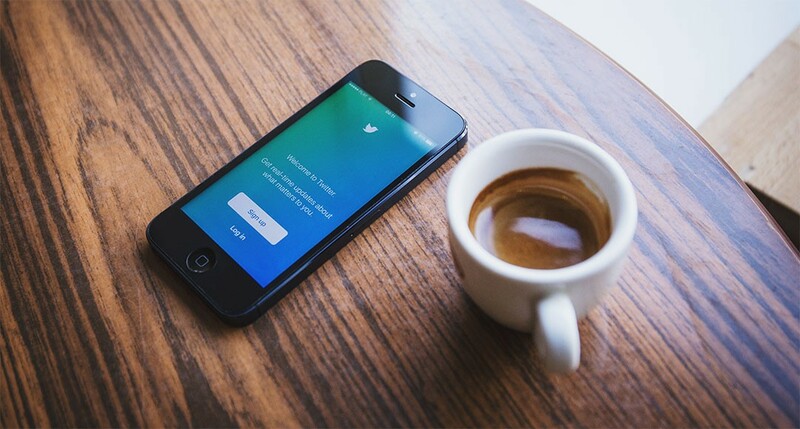 Twitter advertising can be a great way to get your content and tweets in front of people as you can specify such things as their interests and individual Twitter accounts to show it to. Over the past couple of years Twitter has improved how it integrates visuals into tweets. It’s key that you include some kind of visual element within your tweets as research suggests that tweets with a visual get almost double the engagement. FollowerWonk: This is a tool from moz.com that provides Twitter Analytics and the ability to search through Twitter profiles and bios to find people that you would like to connect with. BuzzSumo: A great tool for analysing which content performs well on social media. You can enter a topic and it will tell you how many social media shares that it received and by whom. Buffer: I have been trying this more regularly in recent months and really like it as it’s very easy to switch between social media accounts and the management of content is also done extremely well. Sprout Social: Like Buffer, this is another social media management tool. Unlike Buffer, it does not have a free version but I found it useful for monitoring conversations and I think that it would be particularly good for managing social media accounts within a team. Hootsuite: This is also a tool that lets you manage different social media accounts. It has a free version and it’s layout makes it particularly easy to see multiple social media streams/feeds at the same time. You should have a plan in place to measure all of your digital marketing activity. This will be a document that includes things such as your business objectives, strategies to support these, metrics that will be used as key performance indicators (KPIS) and what the targets will be for these KPIs (credit to Avinash Kaushik for this model). This digital marketing plan is for another blog post (although check out Avinash Kaushik’s work on this) but measuring the effectiveness of your Twitter activity will be part of this. The benefit of planning your measurement strategy means that you have a structure to refer to and everyone in your team has bought into it. If there are disagreements in how things are measure they should be discussed during this stage! The measuring of your Twitter use for business will then be organised here. Common ways to do this are to ensure that Google Analytics is in place and within tweets to use things such as UTM codes which will provide information within Google Analytics on how people, that click on your link behave when on your website. Bitly links are also useful in showing you how many people click on the links that you use on your Twitter account. As part of your Google Analytics set-up, you should have set-up Goals which allow you to measure your macro conversions e.g. How many people contact you through thr website or how many people make a purchase. You can also set-up micro conversions, often using Google Tag Manager and Google Analytics Events, to see how many people do things such as sign up to an email newsletter or download a PDF. Things that you have determined eventually lead to a macro conversion. In the majority of case and so do so effectively, using Twitter for business reasons is very time consuming and requires a great deal of effort and planning. It is easy to under estimate this but it requires tasks such as content scheduling, actually creating content, promoting new content including contacting people directly, organising Twitter chats, responding to messages, managing Twitter advertising and anything else that you use it for. The key is in the planning and managing of your own and your businesses expectations. Doing this gives you a great chance of being successful on Twitter. Thanks for the advice! Just entered the Twitter world so it’s good to have a place to start. I’m glad that you liked it, Jose! Hope that you enjoy Twitter I love it. Good to connect with you on there.